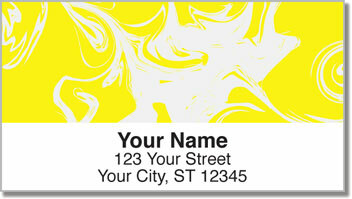 Brilliant neon colors and stylish white swirls give you something wild to stick on your letters and packages. It's the perfect way to top things off with a splash of personality! Your the kind of person who dares to be different. You think outside of the box, do things your own way and don't aren't ashamed of who you are. It won't take you long to realize what a great time-saver these self-adhesive address labels can be. Instead of scribbling out your return address time after time, you just peel and place them on every envelope. That's cool and convenient! 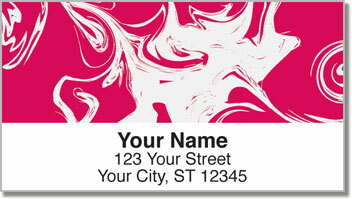 Get your own White Swirl Address Labels right now! Complete your order with matching personal checks.